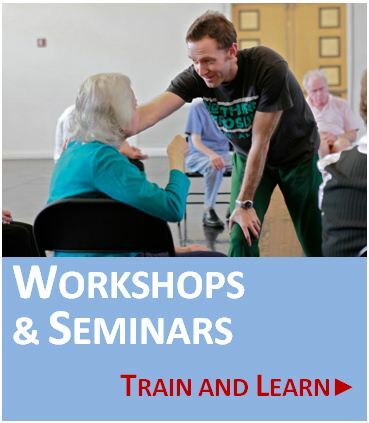 Dance for PD® offers internationally-acclaimed dance classes for people with Parkinson’s disease in Brooklyn, New York and, through our network of partners and associates, in more than 250 other communities in 25 countries. In Dance for PD® classes, participants are empowered to explore movement and music in ways that are refreshing, enjoyable, stimulating and creative. 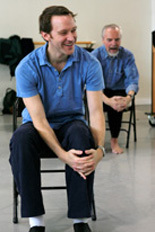 Launched as a non-profit collaboration between the Mark Morris Dance Group and the Brooklyn Parkinson Group, the Dance for PD® program also provides teacher training, creates innovative instructional media, and nurtures relationships among other organizations so that classes based on our model are widely available. Evidence from 38 peer-reviewed scientific studies serves to underpin the effectiveness and benefits of the Dance for PD teaching practice. Learn more. ►Dance with us in the UK and Ireland: we’re offering free community classes and events, as well as discount tickets to Mark Morris Dance Group performances in March, April and May. ►We’re partnering with Hamilton City Ballet and McMaster University to offer a master class, screening and discussion in Southern Ontario May 17. ►We’re live streaming, thanks to a partnership with Canada’s National Ballet School. 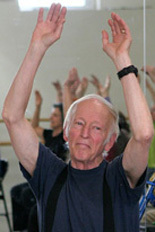 ►Scientific research suggests Dance for PD classes improve mobility and quality of life in people with Parkinson’s. ►Dance for PD featured on NPR’s Weekend Edition. ►Dance for PD joins international partners for Global Wellness Day. ►CNN Money features Dance for PD’s new Moving Through Glass App. ►Dance for PD®’s L’Allegro Movement Project featured on Brooklyn Independent Media. ►Program Director David Leventhal talks about the importance of thinking like a dancer as part of the Davis Phinney Foundation’s webinar series. ►Chelsea Clinton reports on Dance for PD® for NBC’s Nightly News with Brian Williams. ►Dance for PD featured on CNN’s The Next List blog. 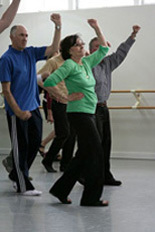 Watch an excerpt from the Brooklyn Parkinson Group/Mark Morris Dance Group film Why Dance for Parkinson’s Disease?, made possible by a grant from the National Parkinson Foundation. For more resources, please click here.